I just got back from a two-week tour around Scotland with my family, and have some great recommendations if anyone needs them! I'm researching a feature all about Perthshire for Practical Caravan's December issue. Do any of you have caravan site recommendations? I'd love to know which are the best and if any of you have had holidays in the county. A number of years ago, my family and another family camped at Faskally Caravan Park - we had our own tents. From what I remember the park was very well appointed and even had a swimming pool which was a real hit with the kids! The only downside for me was that it was close to the A9 - we could really hear the noise. Having said that we were in tents and it might not be an issue for people staying in a caravan. We were lucky to have good weather and took a walk down to the river Garry from the campsite. We also went to Pitlochry, a lovely town in Perthshire. You are also next to Faskally Woods, a forest particularly beautiful in autumn. A very popular event taking place in Faskally Woods is called Enchanted Forest. It lasts for a month and is well worth a visit. 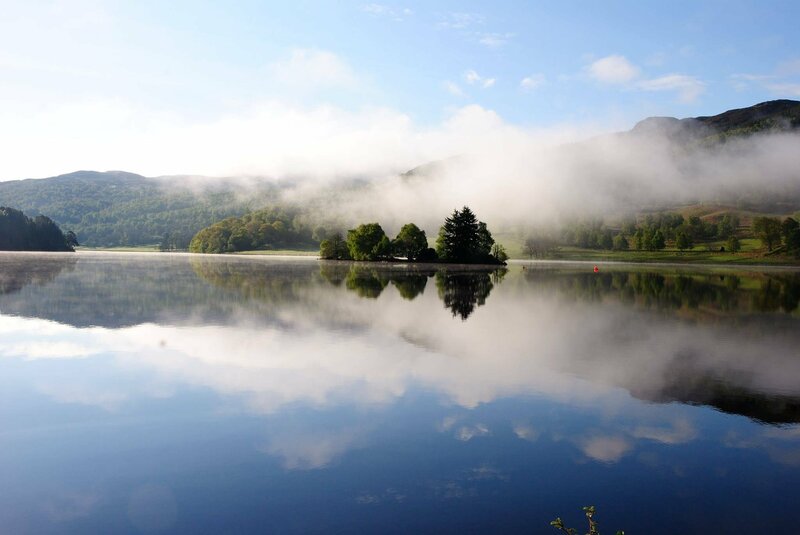 There is so much to do in Perthshire and it is a paradise for walkers of all abilities. For something unusual, visit the Scottish Crannog Centre at the beautiful village of Kenmore. A drive along nearby Glen Lyon is also very rewarding! Another vote for Faskally - although it is a great many years since I stayed there but I pass it often and always think it looks well cared for. I live next to the A9 so the noise doesn't bother me - in fact it is normal! Another lovely wee caravan park is the one at Inver near Dunkeld. There are lots of walking opportunities from there with a well signposted network of paths and you can even walk across to the Hermitage and also into Dunkeld. Another park which is in a stunning location is the one at the St Fillans end of Loch Earn. You can easily walk into St Fillans for something to eat and there are plenty of opportunities for walking and messing about on the loch. The most stunning campsite I have been to is the Ardgualich Farm campsite just a bit after the Queen's View on the banks of Loch Tummel. 2) It's Loch Tummel location has given us some of our favourite shots. It's also an amazing place to relax & BBQ. 3) Queen's view & some wood walks are a short walk away. One of the shots I was able to take from the comfort of the campsite I described above.